Ceramic and porcelain sculptures Maneki-neko (which literally means “beckoning cat”) has long been a recognized symbol of Japanese culture. 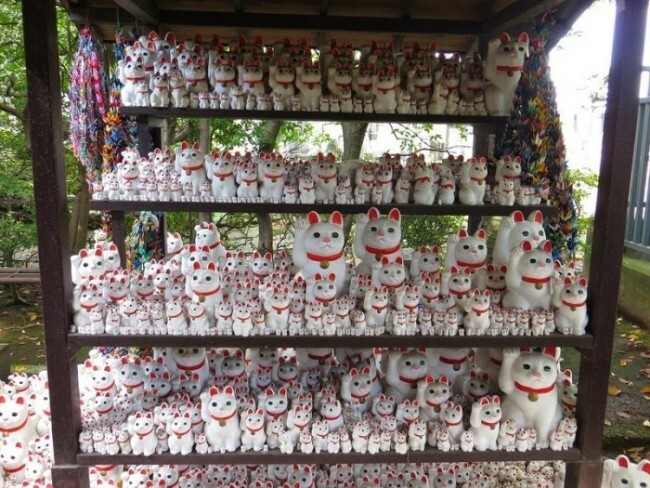 It is believed that the tricolor cat with a raised paw vertically brings its owner good luck and wealth. 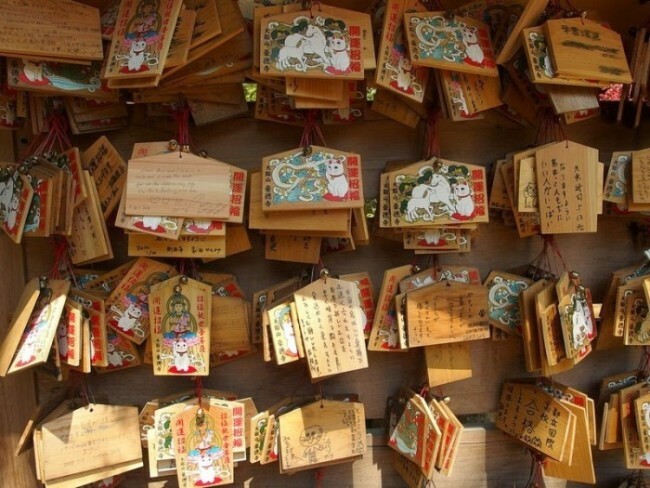 Homeland these handsome – Gotoku-ji temple in Tokyo. 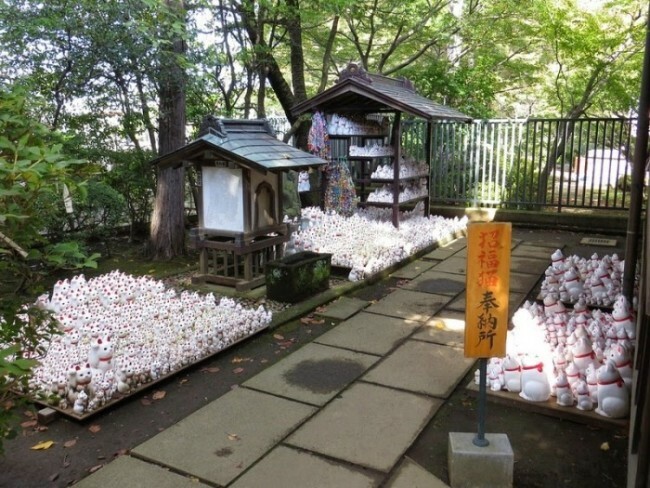 Gotoku-ji temple find difficult: it is located in a quiet residential area in the suburbs of Tokyo. 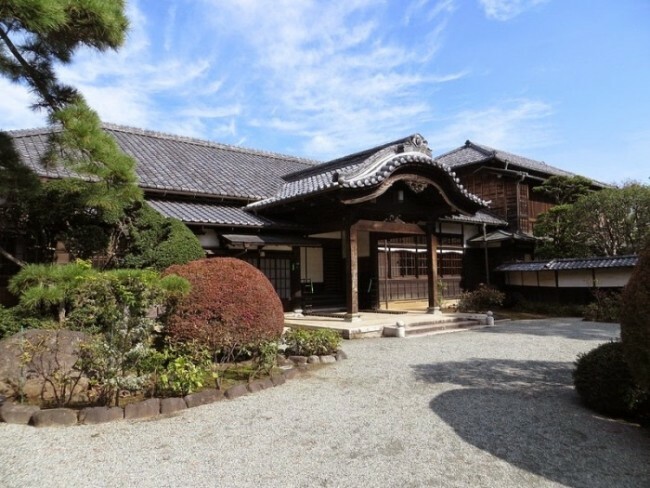 Small building is not much stands out, but is famous for wonderful garden, in the temple you can see plants such as Japanese maple, ginkgo, and, of course, Sakura . 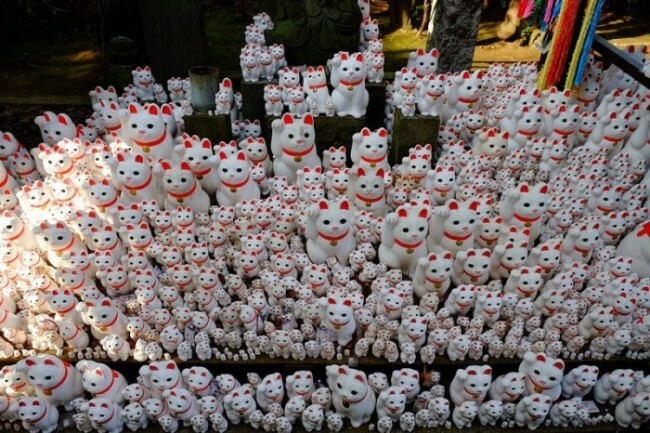 But his real calling card – a huge collection of feline figurines. 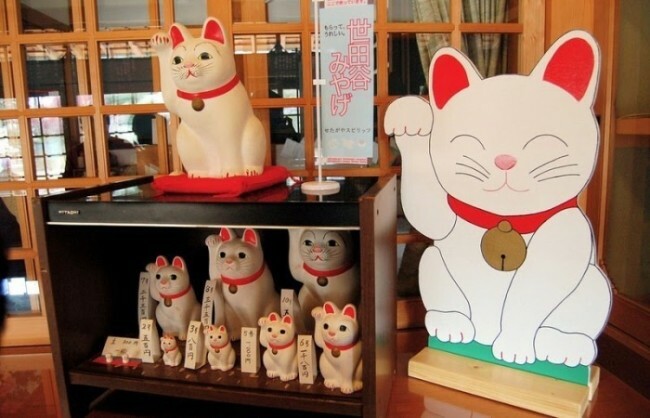 Traditionally, the raised left paw cat lures money, right – good luck. There are also sculptures of cats, who raised both legs. On the neck of the cat, you can often see the coin, the colors may be different animals, before color played a major role (eg, black Maneki-neko was a talisman for all diseases, and red – specifically against measles), but today most of the colors depends on the imagination of the sculptor.